A high-Hz mouse still haa noticeable improvements even on only a 75Hz mouse. Incredible article! a question that may sound silly, but does this all apply equally to a 75Hz monitor (LG – 29UM69G )? I see this article is not very new, so is 2000 Hz mouse tweak, etc. However, want to mention something that could have been overlooked. It could be the frametime introducing those stutters, why not give an example how to avoid them? F.e. I mostly play Counter-Strike 1.6 and it is for =100 fps (for steamed set fps_max 99.5, non-steamed not sure), setting monitor 100 hz gives fluid frametime, when mouse input gets involved, a good idea is to set it to match frametime for it as well, such as 500 Hz, 1000 Hz are multiples of integers either one or another. Personally I set 500 Hz as software I used for testing mouse showed more faults with 1000 Hz. It is fluid and really nice that way. It goes 500 Hz (mouse refresh) / 100 FPS, Hz (monitor refresh) = 5 so each frame has five mouse refreshes processed, with it being divided and equal to integer it is not going to drift and skip at some interval as it is synched. This is just a theory, though. There’s actually 3 frequencies involved, mouse refresh rate, monitor refresh rate & frame rate. There are unsmooth effects even if only one of the three deviates. Mouse poll rate is not generally locked to refresh rate nor framerate. It’s easier to lock frame rate to refresh rate (VSYNC) but that causes lag issues. And mouse sensor reads aren’t at the exact same instant as GPU frame render times. So there can still be dis-aliasing effects. Also, depending on what you’re trying to do 100fps is not always exactly one-fifth of 500Hz. For example, the poll rate may end up 500.2171356Hz in more mathematically exact terms, and frame rate may actually be 99.97136fps. In this situation, you’ll potentially have beat-frequency stutter effects and/or slowly slewing input lag that varies from +0s through +1/500s, as the slightly different numbers goes through the “beats” effect. Fortunately at 500Hz and 1000Hz poll rates, the beat frequency issues aren’t generally a problem at all. It’s more of a problem at non-gaming poll speed of 125Hz, where all kinds of stutters from beat-frequency effects are much more visible to the human eye. Either way, the best way to mitigate any stutter effects caused by any frequency mismatch (pollrate, refreshrate, framerate) is even higher poll rates combined with higher frame rates (and/or synchronized to refresh rate, as in GSYNC/FreeSync or the laggy VSYNC-ON). As long as accuracy doesn’t begin degrading — some competition gamers still swear by 500Hz instead of 1000Hz — or 1000Hz instead of 2000Hz presumably as certain mice occasionally becomes becomes slightly less accurate/reliable when pushed to its very limits. Mind you, for most, this is mostly simply nitpicking or slicing hairs, but there are indeed situations (the rareified leagues of well-matched paid professional competition gamers) where a millisecond of advantage matters — in terms of the Olympics crossing-the-finish-line-first effect — of being the one who shot the other first — in the “identical-human-reaction-time-but-my-hardware-was-1ms-faster” situation — in a gaming deathmatch to win a hundred-thousand-dollar tournament prize — and similar situations where a single millisecond of advantage can actually matter. Very good info and discussions going on here. Now infrared/laser/optical becomes confusing as the terms are used all over the place but look for the best sensor available with no such things as positive acceleration and crap like that. Ultra high DPI and the term laser are just used as a marketing ploy and im pretty sure those dual infrared/laser mouse are the same and won’t bring anything really worth it. If you want some of the best sensor on the market, try Logitech G400, AM Zowie, Microsoft intellimouse, CM storm spawn, cm storm recon, razer deathadder, razer abyssus to name a few with great sensors. I know but 2 professional FPS players (Counter – Strike, Quake) that use 1000Hz, and their accuracy is not their pride. If you are talking about SC / DoTA / LoL players, they both do not have the necessity for such a level of accuracy nor have the necessary skills (in terms of sensitivity) to realize the difference, as accuracy in both games is not as significant as it is on a FPS game. Even if they do realize the difference, maybe for their kind of games they prefer to sacrifice accuracy for the 1ms deduction – this could make some sense. However, it is still not specified which mice or CPUs are the cause of this. Having inconclusive data and no official statements, the fact that they are improving is only speculation. Our only hope would be for someone from Steelseries / Razer to clarify it (being gaming-equipment oriented), since nobody will be getting a response about this in this life from MS / Logitech. However, although many people discussed and asked this, no response was ever published, they probably have not determined it themselves yet either. I am a competitive player and you can be / are a competitive player. Anyone can be and at any game in a sense. The sample should always be professional, awarded and recognized players when discussing matters such as mouse accuracy. There are no designated professionals in BF or TFT as there are in CS, Quake, SC etc. Henceforth, it is asinine to sample TFT ‘competitive players’ to CS and Quake professionals that have been playing for over 15 years and gaming-equipment companies employ them, sponsor them, and base their products on them, for them, and also have gotten their primary feedback from them. And I can assure you that you will not find a single serious, respected and awarded professional player that will not take anything instead of input lag or any kind of delay for that matter. This statement is untrue. We used to play with CRT monitors that went up to 120Hz and run CS & Quake on 100 and 120 / 125 FPS respectively and 100 / 120 and 120 Hz respectively years before 500Hz was invented. Unfortunately, due to the hardware limitations and issues discussed earlier, 500Hz is still the king on all possible refresh rates, and all games if accuracy is to be a moderate, and above, concern. Unless, there is valid proof that 1000Hz works as intended under specific hardware or under specific circumstances (there is no such proof until now that is publicly available). Sensor quality may or may not be relevant, I have no proof of that nor anyone really knows but companies like Avago, since something that you may consider to be a sensor quality problem it could actually be a firmware issue, cable issue, compatibility issue and so on. However, I can assure you that if you have accuracy issues with one mouse running at 1000Hz on a specific system, you will have a problem with all of them – I have tried most mice and you can confirm this yourself; assuming you have the necessary capacity to feel the difference. Negative and positive acceleration similarly to skipping is an issue of laser mice, and it is not a matter of quality, rather a ‘mechanical’ issue – this is how laser mice work. The most high end and newer sensors limit the problem (as users, reviewers, and the companies state) but it is still there and very alive, amidst multiple other issues. If such issues (or others) are presented to an optical mouse it is either a faulty sensor or extremely low quality. I see you have a Deathadder in your article’s picture here, I can assure you that from the first Deathadder to the latest one, and with all possible firmwares, they all perform equally inadequately at 1000Hz across multiple platforms. Especially the latest one that suffers from smoothing effects even more than the previous ones. I’m curious you make such an assumption. Obviously you’re a dedicated FPS fan but SC2 in particular requires extreme precision in battles in order to micro individual units and at a highly rapid rate which vastly exceeds even the most hectic FPS. Even DoTA and LoL vastly differ from the default auto attack and click attack mechanics a new player to the game experiences. I think you may be confused due to the appearance of the game if you’re watching a stream. If you watch a CSGO match you get the actual player view as the observer mode cycles between players. For something like SC2 watching the players screen is next to impossible because it’s simply moving too fast. What you see if you observe a match is a 3rd party slowly scanning around and not the frenetic pace of the actual player. Similarly a SC2 player may need to make as many precision clicks in a single game as a CSGO player needs to make in an entire match. To discount an entire group of professional players due to limited perspective is disingenuous at best. I didn’t say “always true” or “never true”. There are also various metrics such as fluidity, accuracy, lag, etc, which are affected differently (and sometimes independently of each other). There are now situations where 1000Hz is definitively better (fluidity-wise), and it’s already published, and already being recommended by vendors. This would contract against your “This statement is untrue”, especially if we also account for the improved fluidity and reduced microstutters (another metric other than accuracy) especially when combined with 120Hz technologies. Look again — multiple parties are recommending 1000Hz with the newest display configurations. NVIDIA is officially recommending 1000Hz mice for G-SYNC. 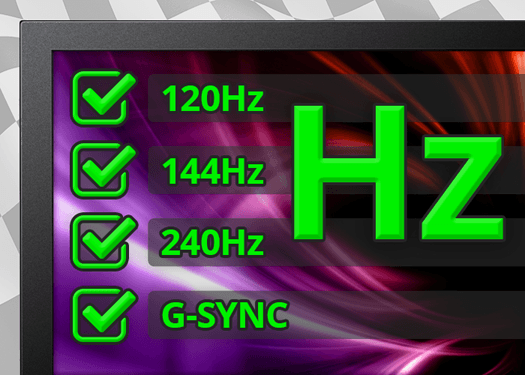 They tested and found better GSYNC fluidity with 1000Hz. This is fact. It is mentioned in the GSYNC literature that came with the preview units. Several competitive player sites, including http://www.eliteownage.com, now advocate 1000Hz as having noticeable benefit. This is true for 120Hz users. Back in the CRT days, CPUs werent fast enough to make 500Hz vs 1000Hz stand out. Today, they now are. Back in the CRT days, CRTs weren’t able to do high-def at 120Hz. Microstutters are more visible with sharper graphics. Many competitive players aren’t yet playing 120Hz, 144Hz or GSYNC, where 1000Hz benefits starts to amplify more. Many LightBoost users like me clearly see microstutter differences when window-dragging at 500Hz versus window 1000Hz. 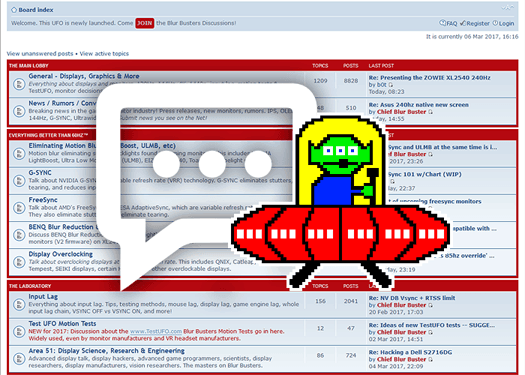 This is posted in several forums. (For more information, see the microstutter mathematics in the Comments section of Windows 8.1 mouse fix). 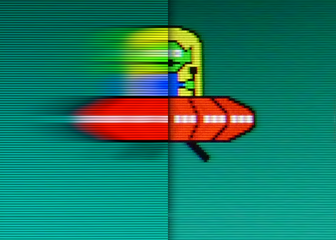 4000 pixels/second dragging/panning/turning speed, 1/1000th (1000Hz) of that is 4 pixels rounding error and 1/500th (500Hz) of that is 8 pixel rounding error (e.g. rounding errors occur when mouse report samples arrives slightly before or slightly after refresh cycle). 4-pixel aliasing creates half as much microstutter amplitude as 8-pixel aliasing. During eye-tracking situations (rather than stare-stationary-at-crosshairs situations), it is definitely visually noticeable nowadays. Also tiny 6-point text is perfectly readable at very fast panning speeds just like in the old CRT days (some models of low-persistence strobed LCD monitors were found to have less motion blur than medium-persistence CRT like Sony FW900), no longer blurring like on yesterday’s LCDs (hiding minor microstutters). 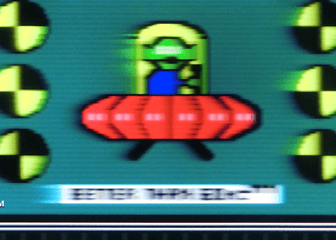 LightBoost produces the CRT effect during fast panning/strafing, so motion blur no longer hides small microstutters, and it’s much easier to see. Back in the CRT days, Windows wasn’t nearly as real-time-behaving as it is now. Mousereports have less latency jitter today on today’s CPUs and today’s USB controllers, to the point where if you re-attached your CRT, you will now be more able to see 500Hz vs 1000Hz microstutter differences in the window-dragging use case described above. There’s fluidity benefit, which is amplified with better-than-60Hz technologies. Utilities have been confirming this for many years. 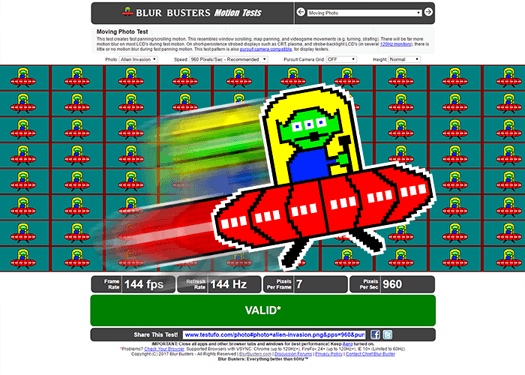 Agree that 500Hz is better in other cases, especially in the past, however, Blur Busters is about “Better than 60Hz” displays, where 500Hz versus 1000Hz is more amplified than it was during the 60Hz era. Yes, we know there were 120Hz CRT users, but that was back during the day when CPU’s weren’t fast enough to make 500Hz vs 1000Hz stand out, especially at lower resolutions, running under older versions of Windows that had lower-precision multimedia timers than today, and using USB controllers/drivers that had more latency fluctuations than they do on today’s controllers. Today, mouse reports arrive far more accurately (in perspective of timing of subsequent mouse report relative to previous mouse report). Whereas I could never visually see the difference between 500Hz vs 1000Hz before, I do now, because the microstutter weak links have been going down for many years; bringing 500Hz versus 1000Hz well above the noisefloor of timing fluctuations, and amplified by the recent comeback of CRT-motion-clarity displays (e.g. 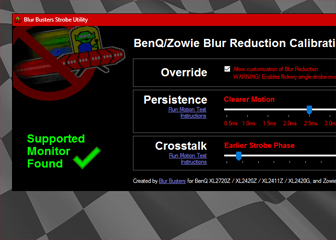 LightBoost) and motion-smoothing displays (e.g. GSYNC) that now makes other sources of microstutters (e.g. 500Hz vs 1000Hz) stand out FAR more than they did a few years ago. We are now using high-definition displays (1920×1080 and up) where a screen-width panning in half a second translates to 4000 pixels/second graphics panning motion, where a 4 pixel rounding error versus 8 pixel rounding error is MUCH more noticeable today than it would have been on your 1024×768 CRT yesterday. Lots of competitive players have not re-tested 1000Hz with their brand-new 120Hz monitor on their i7 system running speedy ultralow-jitter USB controllers. 500Hz vs 1000Hz needs retesting when upgrading to 120Hz, since the now-much-more noticeable microstutter improvement starts to outweigh some of the minor problems of switching from 500Hz->1000Hz on several of the best 1000Hz mice. One competitive gamer told me he was surprised how many competitive players don’t bother switching from 500Hz->1000Hz when they turn LightBoost ON (to figure out whether or not the LightBoost input lag is worth it or not), since LightBoost is often be very microstuttery/jittery, and any microstutter reductions help a whole deal. We are actually now at the technological point where the introduction of 2000Hz is worthwhile when such sensor technology becomes possible: It would likely increase the accuracy of the 1000Hz mode in the elite leagues, and improving motion fluidity on strobed displays even further (e.g. reducing microstutters to ~2 pixel amplitude during 4000 pixels/second mouse movement). For a long time, the input lag mantra has been quite strong, however, the difference between 500Hz versus 1000Hz poll latency is much smaller than SLI versus non-SLI, CrossFire versus non-CrossFire (before or after frame pacing fix), and even 60Hz versus 120Hz. Some competitive game players still use SLI anyway (And tolerate the +2ms to +3ms SLI-enforced input lag) in order to get extra frame rate to improve human reaction times. When we’re talking about low single-digit milliseconds, sometimes it’s a tradeoff between human reaction time reductions (e.g. higher frame rates, or improved motion clarity) versus tiny increased input lag (e.g. SLI enforced lag, or LightBoost strobing). Input lag is NOT always uber final word — sometimes we are happy to give up about 2-3ms input lag to get almost double frame rate, for example — look at the competitive players that have chosen to use SLI for one reason or another (e.g. cost), for example. They aren’t hypocrites if they have consciously/intentionally chosen the competitive advantage of extra frame rate, in trade for a tiny bit of added input lag. The tolerances of input lag tradeoffs vary (e.g. more casual competitive players tolerating more lag to gain more framerate/other benefits, and professional tolerating far less of tradeoff). 500Hz is definitely the best for many situations — but also keep in mind a huge number of competitive game players aren’t yet using GSYNC or 120Hz, and many avoid LightBoost due to input lag, and they haven’t yet re-tested 500Hz vs 1000Hz as much as some of us have. I stress the last point — this mouse article is geared towards “Better Than 60Hz” users — and also geared towards both competitive and non-competitive players who is craving the best possible fluidity (e.g. people like me and many of our readers), e.g. Bioshock Infinite [email protected] strobed solo gameplay. Several of us now visually SEE a more amplified microstutter difference between 500Hz poll rate and 1000Hz poll rate (during eye-tracked screen panning motion situations) whereas it wasn’t visible on yesterday’s 120Hz CRT’s running at low definition on slower CPUs and more jittery USB subsystems. That said, it’s worth mentioning of 500Hz being better in many competitive situations (especially when playing in the rareified leagues & on 60Hz displays). I can amend the article to add a paragraph about this, as well as mentioning the existence of problem 1000Hz mice, even though 1000Hz is confirmed (by multiple sources) to be the best motion fluidity on strobing/on GSYNC. 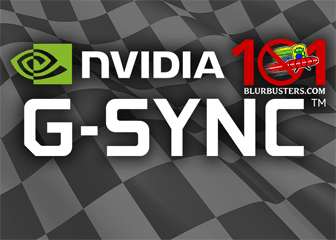 After all, NVIDIA is now recommending 1000Hz for GSYNC. Just to make sure that I understood your point: if I play with a 60hz lcd, 500hz is better or your conclusion is different for current mouses? (I play CSGO on a 60hz monitor, with my fps capped at stable 120fps. Mouse: Zowie Ec1-a). Btw: even at 60hz I can crearly feel the diference between 500hz and 1000hz (it’s not placebo, I would take me 2 seconds to accurately guess the 100% of the times at which rate the mouse is set on if you change it for me). I have more control of my aiming with 500hz, 1000hz is more responsive and smooth, to the point that it feels kinda slippery (harder to control, I have been playing with 1000hz last days and I am getting used to it tho). Fantastic discussion you’ve got going here. Could you elaborate on a few things I still don’t quite get, please. Is it correct to assume that it’s better to use 1000Hz for games with varying frame rates, and 125Hz/500Hz for games with a locked frame rate or when using VSYNC? Also, does it matter whether it’s double or triple-buffered? More importatly, how to tell apart these games? Simply googling whether a certain game has a locked frame rate, internally or visually, seems unreliable. Can you give a specific example with two very popular games at the moment – CS:GO and Titanfall – both of which employ some sort of frame locking. In your comments you didn’t tell specifically what is a modern system and which are the best mice. For example, does it matter whether you connect the mouse to a USB 3.0 controller, and does it matter if it’s a native Intel controller or 3rd party? Is it okay to connect another peripheral (in addition to the mouse) in the adjacent USB port? Is it safe to assume that all platforms from Sandy Bridge and up are ‘modern’ enough and offer proper USB controllers? Is it correct to assume that it’s better to use 1000Hz for games with varying frame rates, and 125Hz/500Hz for games with a locked frame rate or when using VSYNC? If you’re using [email protected] (e.g. Quake Live), you do not have as much aliasing effects between framerate and mouse pollrate. So it’s possible that the improved accuracy of the lower poll rate may outweigh the fluidity-enhancing benefits of the higher mouse Hz rate. It is a personal preference that you will have to test out, and many people can’t tell the difference. That said, some of us (myself) feel the difference when using LightBoost during fast mouse panning movements. Also, does it matter whether it’s double or triple-buffered? Double buffered is synchronized to refresh rate (e.g. framerate caps out). Triple buffered is unsynchronized to refresh rate (e.g. framerate can fluctuate). The exact answer likely depends on the current refresh rate (which may determine framerate, if VSYNC ON), and the mouse pollrate if it’s an exact multiple of the refresh rate. Even when the frame rate is a multiple of the mouse poll rate, the multiple is not always perfectly exact, so if you run at a lower poll rate, you may have intermittent latency effects (caused by the frame rate slowly slewing against the nearly-but-not-quite-exactly-matched mouse poll rate). You may not be able to feel them at all, but it may wreck aiming ability. I leave my mouse on 1000Hz at all times, as it never degrades motion smoothness/fluidity (when that’s the goal above all else). A bigger effect is the game’s synchronization to the mouse poll rate, rather than synchronization to a frame rate cap. For example, in Quake Live, the frame rate (125fps) is designed for minimum latency against the mouse poll rate (e.g. game engine synchronized to the mouse poll), so latency is designed not to degrade when using a lower poll rate. This is a different situation than, say, for Counter Strike:GO which is not synchronized to the mouse poll the way Quake Live is. So going 500Hz vs 1000Hz can make a bigger motion quality difference in CS:GO than for Quake Live, for instance.